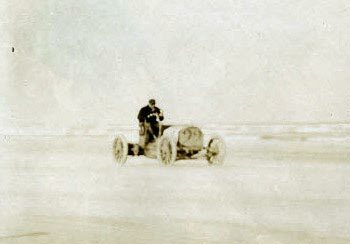 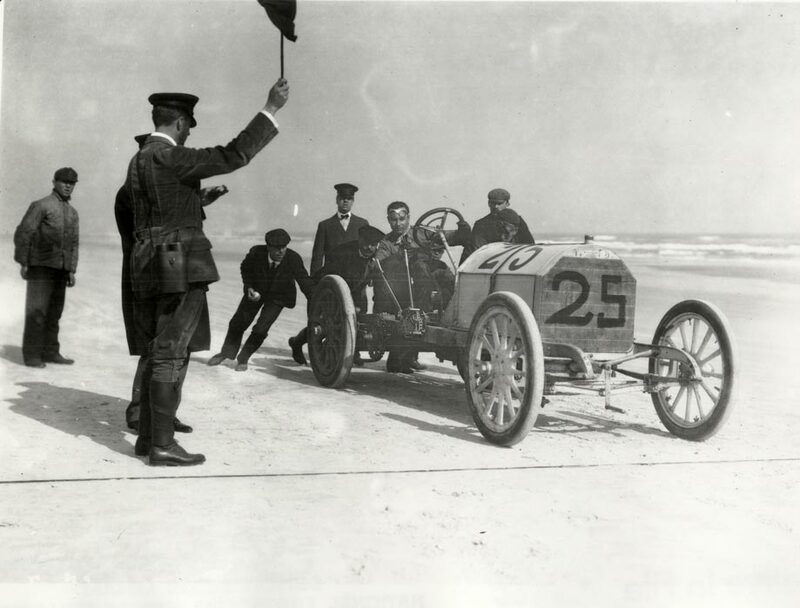 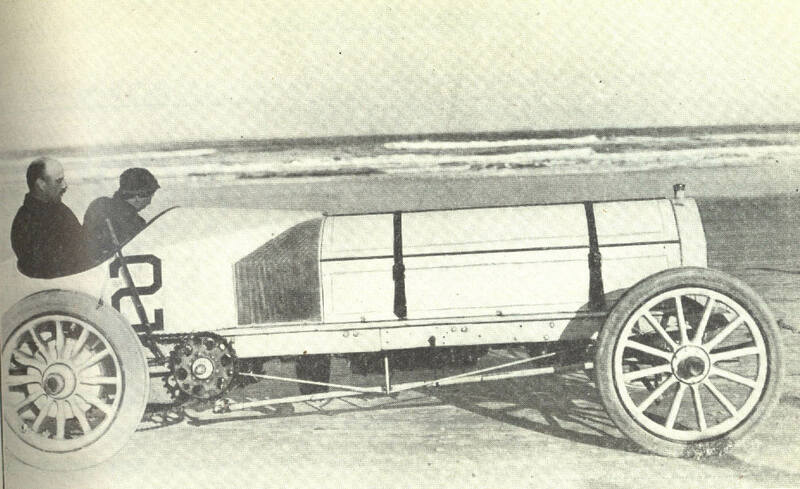 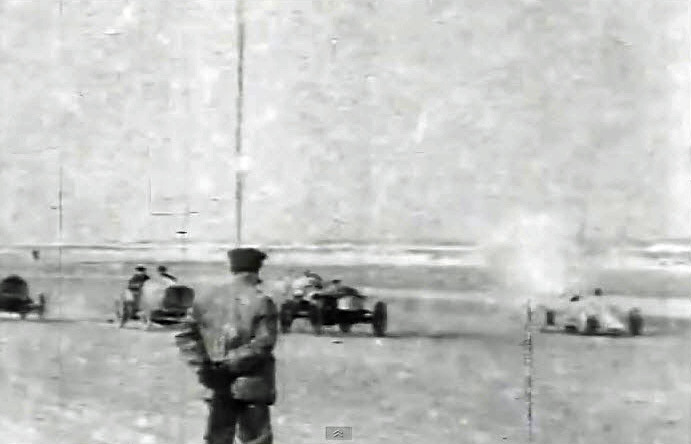 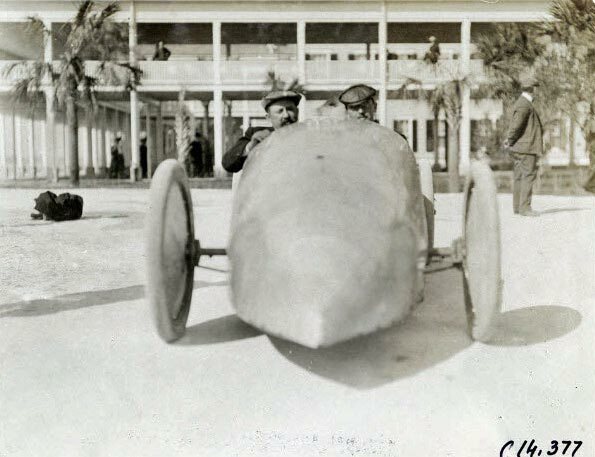 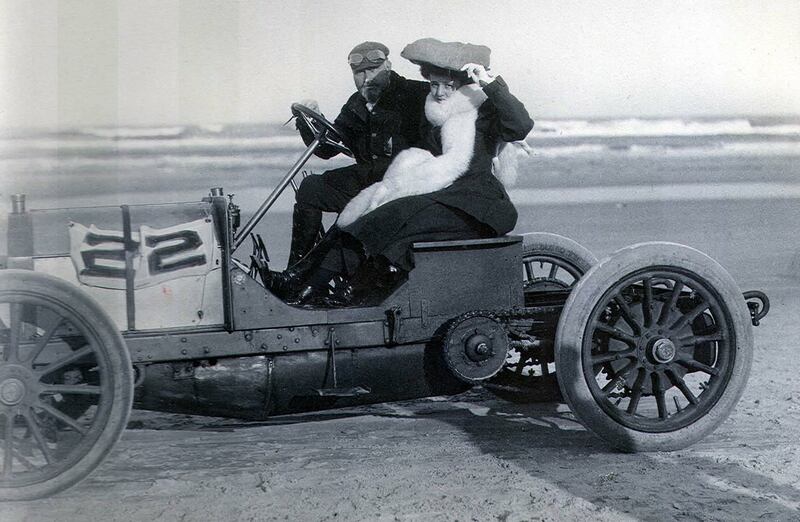 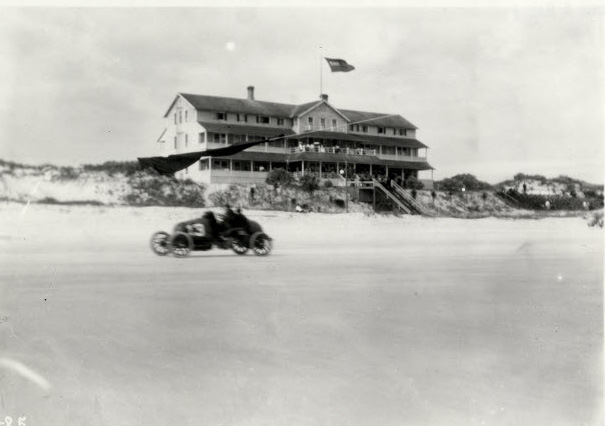 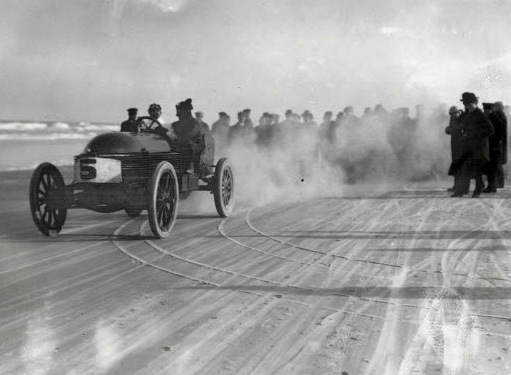 Before the Bonneville Salt Flats became the site for Land Speed Record attempts, automakers and individual, daredevil auto pioneers flocked to the sand at Ormond Beach, Florida to demonstrate their cars speed. 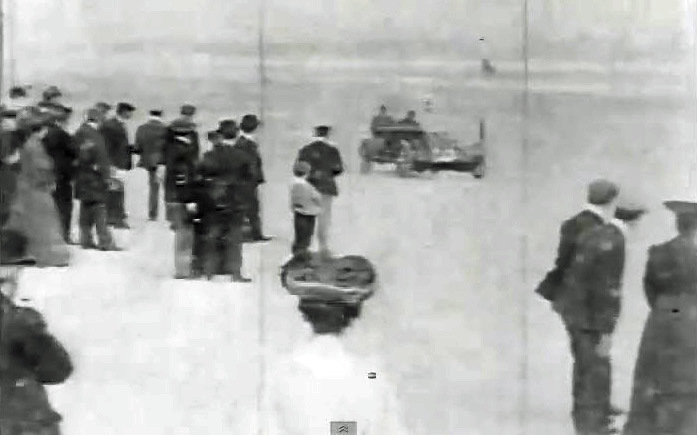 Ransom Olds, Henry Ford and Alexander Winton, tested their inventions at the beach. 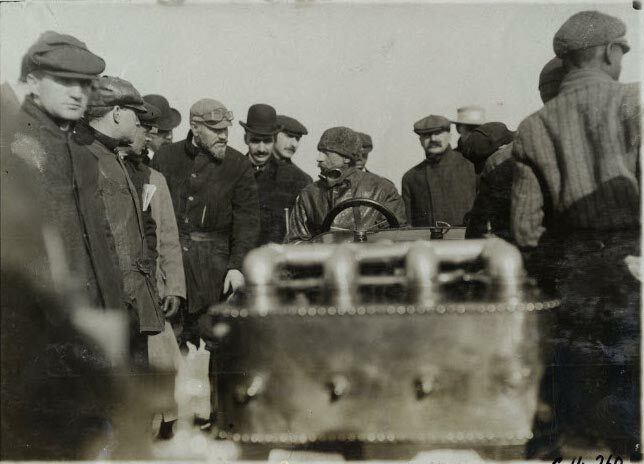 The American Automobile Association brought timing equipment in 1903, and the area acquired the nickname "The Birthplace of Speed."G. 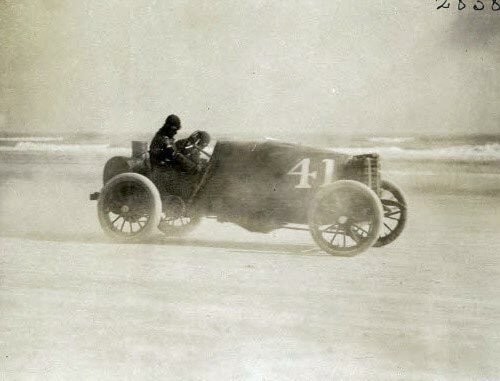 W. Bitzer, who became D. W. Griffith's cameraman was sent to Florida by the American Mutoscope and Biograph Studios to record the race in 1905. 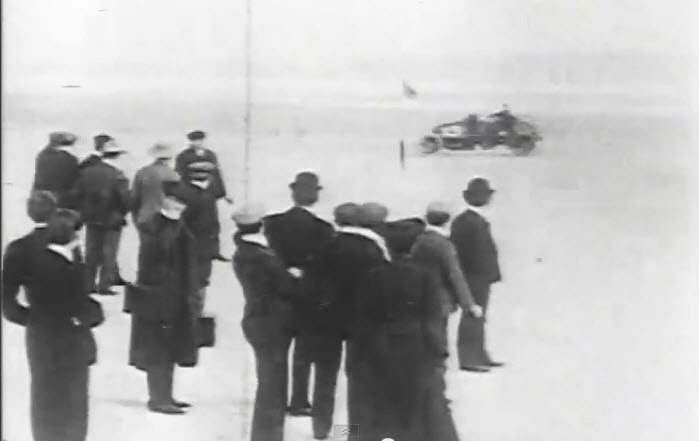 He set his camera up to get the direct approach, some overhead shots and mostly from the vantage point of the crowd on the beach. 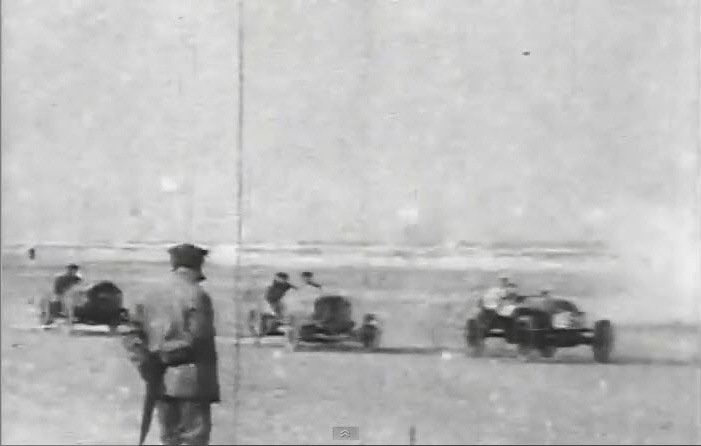 Several automobiles that were shown in the film are highlighted below. 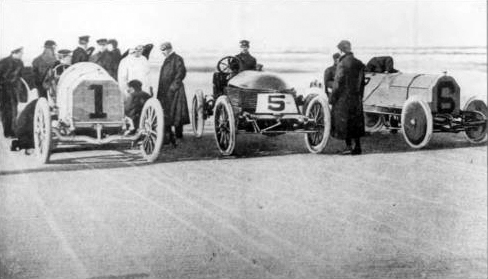 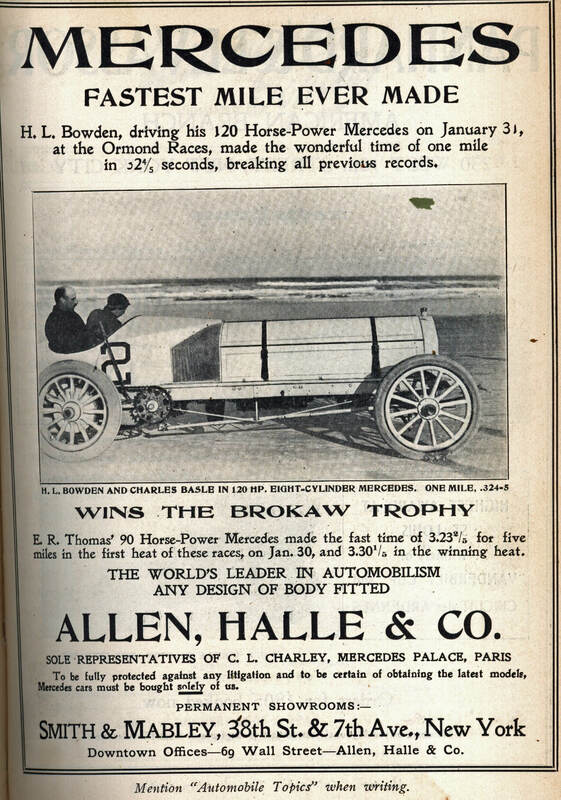 In the first heat for the Sir Thomas Dewar Trophy at the Ormond-Daytona Beach races held on January 24,1905, Vanderbilt in his #1 90-HP Mercedes (second right) competed against the #6 Mercedes driven by Edward Hawley (far left), the #5 Napier driven by Arthur McDonald (third from right) and the #4 Stanley Steamer driven by Louis Ross. 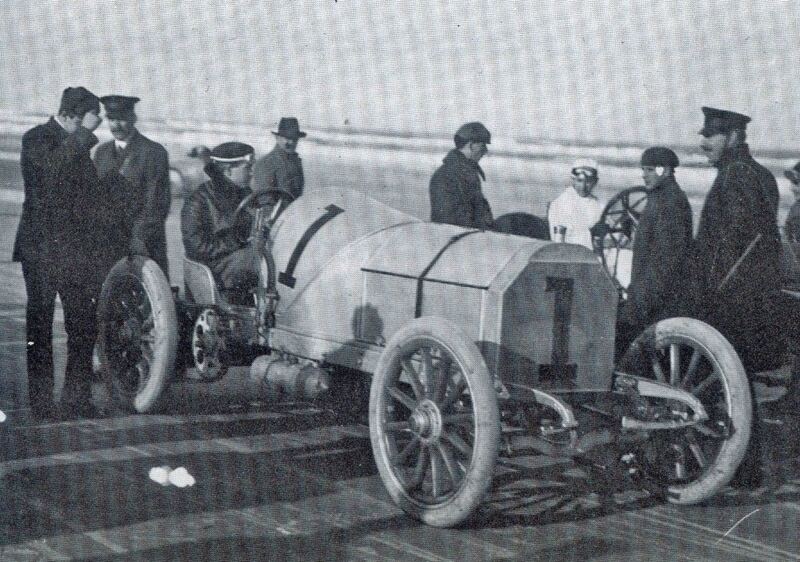 In a surprise, the 20-HP steamer won the heat and then went on to win the final race for the Dewar Trophy. 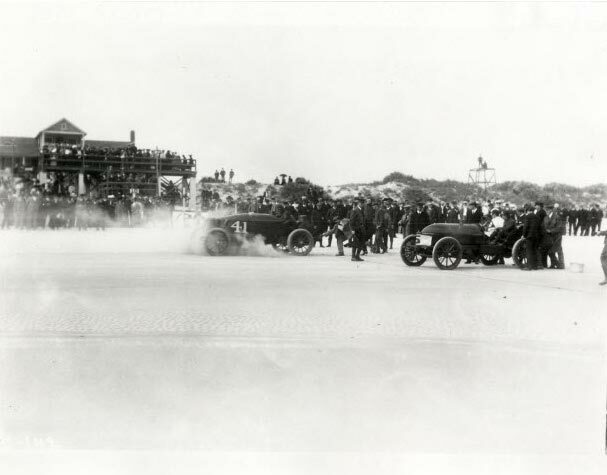 In a surprise, the 20-HP steamer (far right) won the heat and then went on to win the final race for the Dewar Trophy. 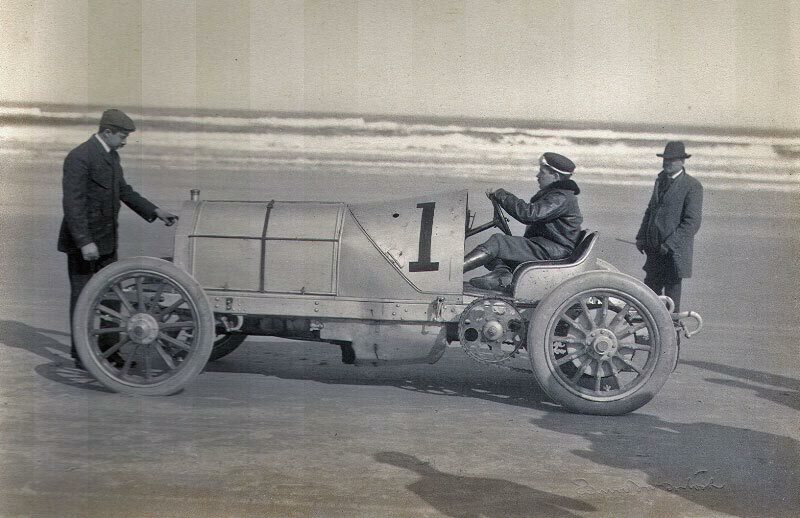 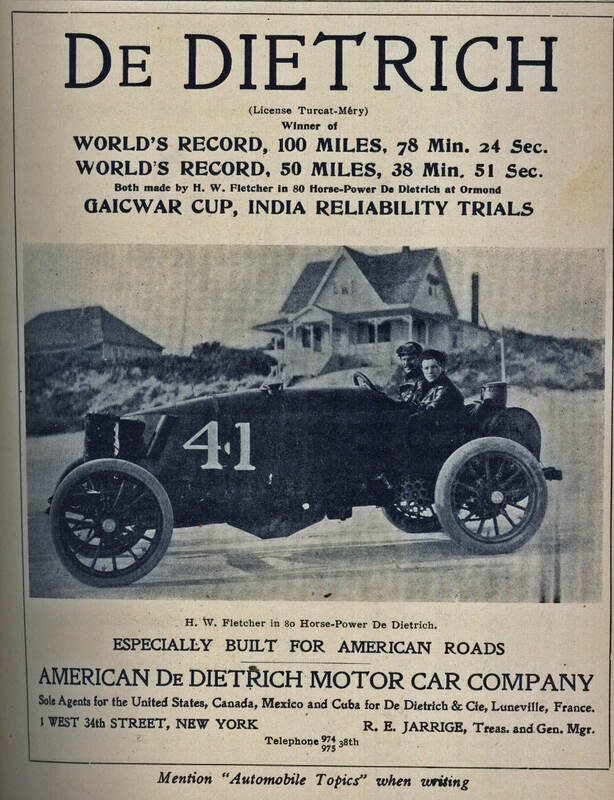 #1 Mercedes driven by William K. Vanderbilt Jr.
Link to a treasure of 34,407 automotive online photos including 324 images of the 1905 Ormond Daytona Beach Automobile Races. 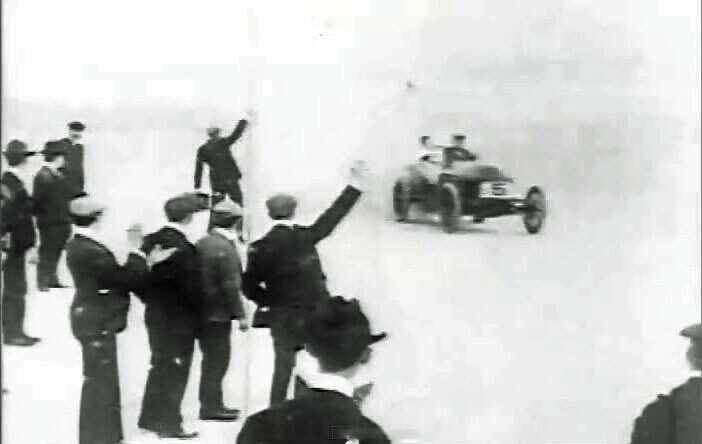 Fantastic video and story on the cars and people who participated. 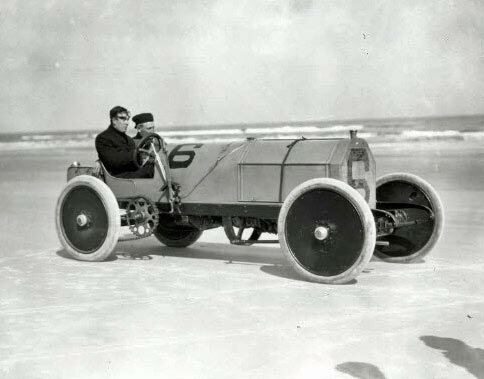 Especially interesting was info on Christie. 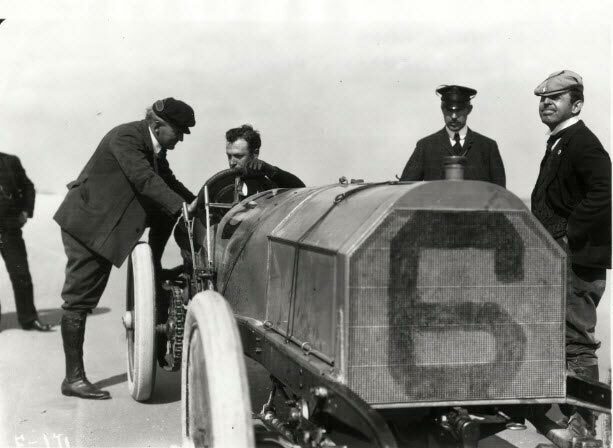 Oldfield made some interesting comments after driving that car.